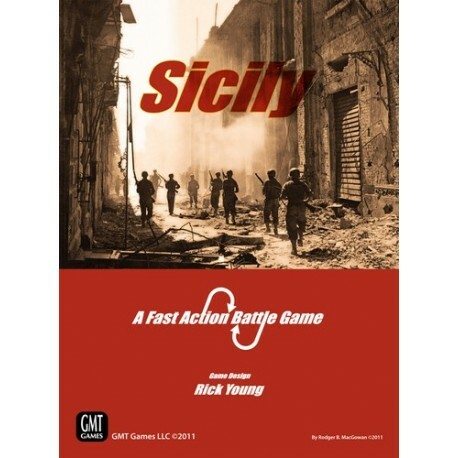 The Fast Action Battle (FAB) games, designed by Rick Young (Europe Engulfed, Asia Engulfed, and FAB: The Bulge), takes you to the Allied invasion of Sicily for volume II of the series. As the Allied player, you will choose your invasion beaches after seeing where the Axis player has deployed his units. Do you choose Montgomery’s historical ‘Husky’ plan, Patton’s alternate plan, or a hybrid plan of your own? In this game you will find a few new unit and asset types, and also new challenges for both sides. For the attacker, the challenge is the tough Sicilian terrain; and for the defenders, it’s the worsening Italian morale. Each victory area and functioning port that the Allies secure adds a ‘Fading Italian Morale’ Event Chit into the selection cup, and as each of those are drawn, worsening effects on Italian units are felt along the entire front. If one side has not secured an automatic victory by the end of turn 9, the Axis player receives bonuses, both for German units that have exited off the island through Messina and also for areas on Sicily that are still Axis-controlled, so there is pressure on both sides to fight for every area. 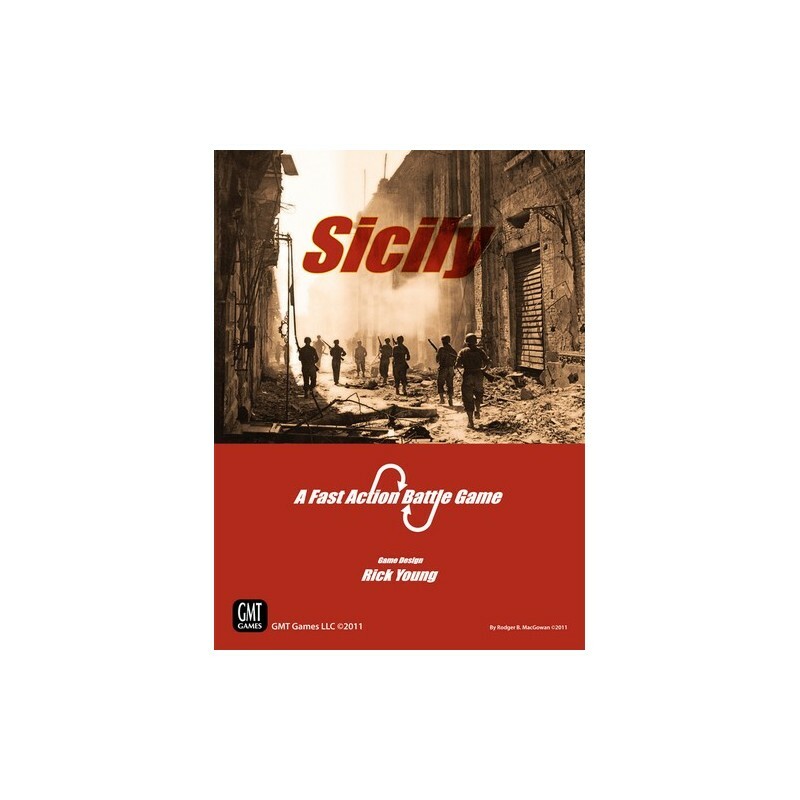 Plateau de jeu rigide pour le jeu FAB Sicily.